Bacterial resistance to antibiotics limits treatment options, increases morbidity and mortality, and raises the risk of antibiotic-associated adverse events. Antibacterial resistance emerges rapidly following an increase in the consumption of antibiotics against infectious diseases. The spread of ESBL producing strains has a limiting factor based on antibiotic function for the treatment of infections particularly caused by Acinetobacter baumannii (A. baumannii). This study was conducted to evaluate the prevalence of antimicrobial resistance and distribution of blaTEM, blaCTX, and blaSHV genes among A. baumannii strains isolated from clinical samples at a major hospital in Teheran, Iran. 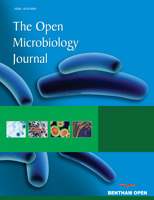 A. baumannii strains were isolated and identified using standard microbiological methods. The disc diffusion and combined discs methods were used for testing antimicrobial susceptibility and to identify the strains producing Extended-Spectrum Beta-Lactamases (ESBL), respectively. DNA extraction was done by boiling method. Finally, the frequency of resistant genes including blaTEM, blaCTX, and blaSHV in ESBL producing isolates was studied by PCR. Gender distribution in this study was 53 (53%) samples for men and 47 (47%) for women. Totally, one hundred A. baumannii strains were isolated. More than 93% of the isolates were multi drug resistant. The highest to lowest antibiotic resistance was observed against amoxicillin/clavulanic acid (98%), ceftriaxone (96%), cefotaxime (94%), and ceftazidime (93%), respectively. The frequency of positive phenotypic test of ESBL was 19% and 16% for CAZ-C and CTX-C, respectively. The frequency of blaTEM, blaCTX, and blaSHV genes was 52.1, 43.4, and 21.7, respectively. A. baumannii isolates exhibited an extremely worrying level of antibiotic resistance, and a high percentage of the isolates showed MDR in this study. This is a serious warning because ESBLs are a major threat to the effectiveness of antibiotics that are currently available for medical uses. The frequency of genes encoded ESBL isolates of A. baumannii may be due to overuse and misuse of antibiotics. Keywords: Antibiotic, Bacterial resistance, A. baumannii, ESBL, PCR, Clinical samples. © 2018 Ranjbar et al.